The spotlight for the revised Zurich Classic of New Orleans will fall mainly on two pairings at the TPC Louisiana, with four superstars expected to draw thousands of golf fans through the gates. Justin Rose and Henrik Stenson, a formidable and successful alliance in Ryder Cup combat, join forces in the Zurich's new team format. The European duo contest favouritism with former world number one Jason Day and the ever popular Rickie Fowler. The sponsors are desperate to make this event a success – it was a controversial move to axe the traditional 72-hole individual strokeplay competition – and Zurich Golf Ambassadors Rose, Day and Fowler have been obliged to do lots of promotional work in the build-up. The off-course demands are unhelpful for the market leaders, who are easy to resist at skinny prices. Rose has a Masters hangover to deal with after blowing a golden chance of claiming a Green Jacket, while Stenson has been in dire form, missing the cut in his last three outings. Day has been struggling for fitness, focus and form for seven months, while Fowler was last seen dropping meekly down the Augusta leaderboard with a final-round 76. World number five Jordan Spieth will also command plenty of attention, but he ended the Masters with a confidence-sapping 75 and has a partner who struggles under pressure in Ryan Palmer. Sunday's Texas Open hero Kevin Chappell may lack concentration in the wake of his brave and mentally draining breakthrough triumph, and his sidekick Gary Woodland is trying to overcome a family tragedy. Strong preference is for a pairing who will be raring to go on the first tee on Thursday. 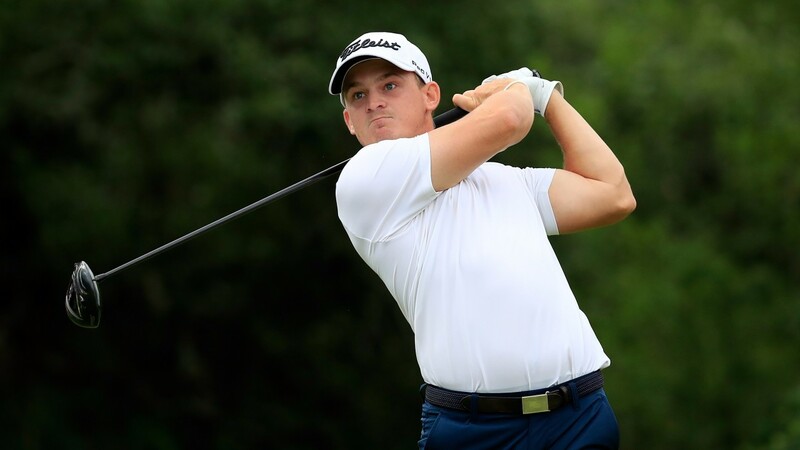 Bud Cauley and Justin Thomas are close pals who both attended the University of Alabama. Both men won on the Web.com Tour in 2014. Thomas has gone on to claim four US Tour titles, while Cauley has been threatening a top-flight breakthrough this year. The two young guns look a fearsome combination on a course where accurate approach-play is key. The wide fairways will allow these two pint-sized powerhouses to unleash long drives with confidence, then let their deadly irons and wedges take over. Cauley is 15th on the US Tour in the strokes-gained on approach statistics, and Thomas is 13th. It is also worth noting that Thomas tops the birdie average stats and could shoot the lights out in the fourballs. Cauley finished third in the CareerBuilder Challenge at the end of January and has burst back into life over the last fortnight. Ninth place in the Heritage was followed by tenth in the Texas Open, where he was unfortunate to suffer a double-hit when chipping from rough in round three. His last visit to TPC Louisiana (2014) ended in 11th place. Thomas has been generally magnificent all season, dominating the Hawaii Swing in ludicrously emphatic fashion, and he was sixth for greens in regulation in the Masters last time out on his way to 22nd spot. JT finished 12th as a rookie maiden on his only previous Zurich start (2015). He was just off the lead after reaching ten under par at the halfway stage, before a third-round 72. Two years on, self-belief courses through his veins, and Thomas can lead his team to Zurich glory. Group dynamics are important in pairs golf and it helps if there is an obvious team leader. Luke Donald, a former world number one and Ryder Cup star who turns 40 in December, will assume that role alongside US Tour maiden Jamie Lovemark this week. These two have a nice mix of skills, with Donald's short-game prowess combining with Lovemark's effortless power. Donald has found some form this year and was runner-up in the Heritage the week before last, and his only two TPC Louisiana starts have ended in eighth place and third. Lovemark was a playoff loser in last year's Zurich. He started this term well, with sixth place in the RSM Classic and fourth in the Sony Open, but has been inconsistent since. Affinity with the course and having someone holing putts for him could get the talented Lovemark buzzing again this week. Complete your staking plan with Korean duo Byeong Hun An and Seung yul Noh, a pair of 25-year-olds who seem certain to gel. An, almost 200 places above Noh in the world rankings, can lead a powerful ball-striking unit which is course-proven. An, like Lovemark, was a playoff loser in last year's Zurich, while Noh was Zurich champion in 2014. An has not missed a cut since the USPGA at the end of July and led the Phoenix Open for a long way in February. Noh also found February form, finishing eighth at Pebble Beach and 11th at Riviera. He has failed to sparkle since, but these two will probably bring out the best in each other. Two powerful and aggressive players who could be either superb or terrible together in this format. Clash of big egos may unbalance the pairing and Pieters is making his course debut. Cantlay has made an excellent comeback from injury on the US Tour this year and is in much better form than Ryder Cup colossus Reed. Will team golf inspire Reed to stop hacking it? The two former University of Georgia pals look the sort of pairing who could claim a place. More dynamic sorts can take home the silverware. The South Africans won four points from four matches alongside each other in the last Presidents Cup and must be respected, but both are making their course debut. The Japanese alliance looks dangerous, with world number four Matsuyama combining with Tanihara, who was so impressive in the WGC-Match Play a month ago. The Wisconsin veterans, 2009 Shark Shootout champions, could be dark horses if the event turns into a grind in strong breezes. Kelly is a course winner, while Stricker retains plenty of ability. Course overview The TPC was designed by Pete Dye in 2003 and it made its US Tour debut in 2005. It staged its second Zurich Classic in 2007 (Hurricane Katrina ravaged the track in 2006) and has been the tournament's venue ever since. The rough is fairly light and there are fewer trees to negotiate since the hurricane, but five water hazards and more than 100 bunkers keep the players on their toes. The par-fives (the second, seventh, 11th and 18th) are all in range and excellent chances for birdie. The 18th is the most difficult of the quartet, though, with a large lake down the right side. The 482-yard par-four fourth hole and the 215-yard par-three 17th are traditionally the most difficult. The 16th is a risk-reward, driveable par four of 348 yards, with water in front of the green.